British Telecom is the largest of the Big Four broadband providers and one of the best-known companies in the UK. matching BT broadband deals available. BT broadband deals available. The Bottom Line: You pay £54.98 the first month, then £24.99/mo for 17 months, then £32.99/mo. The Bottom Line: You pay £38.98 the first month, then £28.99/mo for 17 months, then £52.49/mo. The Bottom Line: You pay £59.48 the first month, then £29.49/mo for 17 months, then £37.49/mo. The Bottom Line: You pay £43.48 the first month, then £33.49/mo for 17 months, then £56.99/mo. Inclusive anytime calls to UK landlines, including 0845 and 0870 numbers. Any time of day, 7 days a week. The Bottom Line: You pay £64.97 the first month, then £34.98/mo for 17 months, then £42.98/mo. The Bottom Line: You pay £48.97 the first month, then £38.98/mo for 17 months, then £62.48/mo. The Bottom Line: You pay £49.98 the first month, then £39.99/mo for 17 months, then £58.99/mo. The Bottom Line: You pay £54.48 the first month, then £44.49/mo for 17 months, then £63.49/mo. The Bottom Line: You pay £94.97 the first month, then £44.98/mo for 17 months, then £57.98/mo. The speeds listed for business broadband are based on the maximum possible speed of your connection and may vary. Some providers also offer 'Leased Lines' - these work as a dedicated broadband network for your business only and are not subject to the same speed limits as regular connections. Check with your broadband provider for more information about broadband speeds available near you. We think it's really important you have everything you need to make an informed decision. 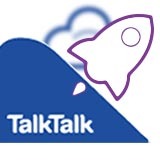 Use 'Filter Deals' and the tabs at the top of the page to sort each package by broadband speed, inclusive calls, the most popular deals, average monthly price or first year total cost. Prices for business broadband DO NOT include VAT unless stated. The search results in these tables should be taken as a guide only. Take care to check the price, speed and limitations of any broadband, TV or phone product you buy. BT, or British Telecom, is the oldest, most established and best recognised broadband provider in the UK. BT broadband is aimed at the mid-market, so you won’t find the industry’s cheapest deals here. BT tend to increase their prices after the minimum 18 month contract is up, so it’s worth keeping an eye on the deals available elsewhere if you’re coming to the end of your contract. All BT broadband comes on an 18 month contract as standard. BT Call Protect to keep out unwanted or nuisance callers is enacted on your BT phone line as standard. You’ll have to pay some up front costs for your router and likely an activation fee as well. Postage and packaging is not included. To offset these extra costs BT occasionally offer free prepaid Reward Cards ranging in value from £50 to £120. While BT broadband is extremely well established, a note of fair warning: it often tops the most complained about provider lists and does not come with an unblemished reputation for customer service. What can you get with BT? BT has unlimited ADSL broadband at maximum speeds of 17Mbps. Yes. Every BT broadband package comes with some form of free calls package. Weekend Calls to landlines are included as standard across the range. Adding Evening and Weekend landline calls costs an extra £3.80 a month. Anytime Calls to landlines comes in at an extra £6.99 a month. Be aware this Anytime Calls cost will increase to £8.99 a month if you go beyond your initial 18 month contract with BT. BT has a wealth of SIM Only and contract phone deals available, including mulitple SIMs and discounted family plans. BT uses the EE network for voice calls and data. See all the latest BT SIM Only deals here. BT have two kinds of fibre, Unlimited Infinity 1 at 52Mbps and Unlimited Infinity 2 at 76Mbps. BT is the only provider on the market to artificially cap its fibre speed at 52Mbps. In October 2017 BT announced that existing Infinity 1 customer would get a free upgrade to 76Mbps along with an extra 100GB of cloud storage. New customers still have the option of buying 52Mbps Infinity 1. BT TV is a subscription service added on to BT Broadband. You will need Fibre services to access some of the channels available, including any HD channels. BT recommend a download speed of at least 30Mbps for AMC and Sky Sports HD channels. Just watch out for the small print: if you stop your service in the first year, BT will charge you up to £99. You’ll also need at least 12 months left on your broadband package to take BT TV. If not, you will have to recontract with BT broadband to get access to their TV deals. You can add Netflix to BT TV and if you watch using your Youview box it won’t take up any of your broadband data. If you watch Netflix on your laptop or phone then it will count towards your broadband data usage. TV Starter is BT’s lowest cost option and includes a Youview box with 80 Freeview channels and BT Sport included. You get all the standard BBC and ITV channels and their HD equivalents, along with American premium channel AMC, BT Sport 1, 2, 3 and BT Sport ESPN. Your Yourview box can pause and rewind live TV, but there’s no record option available at this level. 100 channels are on offer here with the upgraded Youview+ box. You get all of the standard Freeview channels, along with a couple of extra premium channels like UK Gold, Syfy and MTV. You can pause, rewind and record live TV. BT Sport does not come as standard but you can add it for an extra £3.50 a month. This is where you will find BT Sport 4K Ultra HD – if your internet connection can support it. For normal viewing you’ll need consistent download speeds above 5Mbps. As mentioned above, for some of the Sky Sports HD channels and AMC you will need at least 30Mbps. BT offers a range of business broadband deals, promising unlimited free WiFi with 24/7 tech support. BT has one of the largest broadband networks in the UK so it may be your only option if you live in a rural area. While it can’t compete on price with some of the budget operators on the market, if you’re a sports addict then BT Sport is where the party is at. Some people feel more comfortable buying from the most established broadband name in the business but watch your bills because BT likes its paid add-on extras.